This photo was taken at the west end of High Street where the old fountain was relocated during a school lunch break. 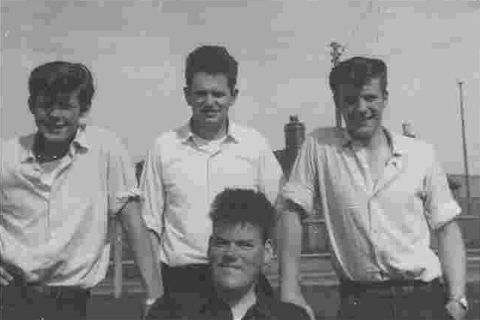 Back row (left to right): George Mackay, Alasdair Mackay, John Mackay (then known as Mackay cubed) and in the front in the wheelchair is Morris Scott (Muffy). Gosh this is good memories.